As several studies by UCU and by researchers have demonstrated, precarious work is extremely stressful for the employees in question. 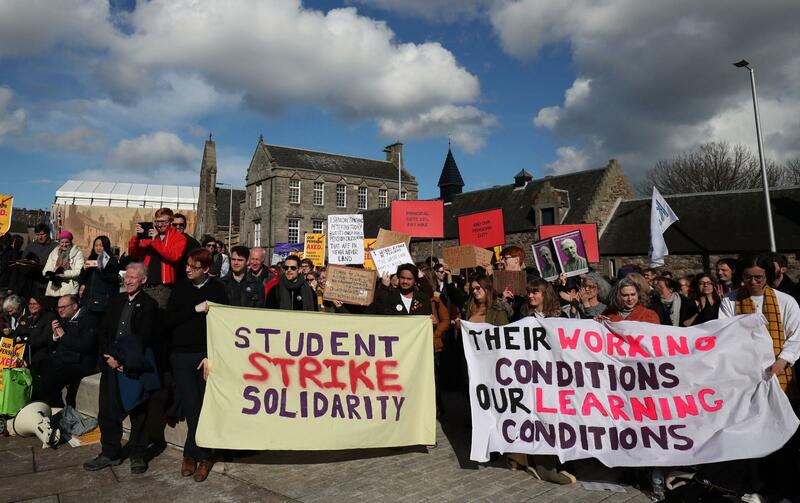 The question remains why so many universities continue this detrimental practice of employing such large numbers of staff – in many institutions, like Edinburgh, the precariously employed outnumber the securely employed staff – when it is harmful for both staff and students. UCU Edinburgh recently (February 2018) submitted a local claim on anticasualisation, which followed an earlier claim (March 2017) and over five years of anticasualisation campaigning. Three months have elapsed since we presented the claim, and the University is only now beginning to respond to our demands. One specific demand in this claim is that no teaching fellowships should be shorter than 12 months. We have recently been contacted by UCU members both at Edinburgh University and elsewhere, to highlight that University of Edinburgh is currently advertising a two year long Teaching Fellowship in German, in the school of Literatures, Languages, and Cultures, but with pay only during 10 months of the year, which makes the post in essence a double ten-month contract. This advert follows two recent adverts for 9-month long contracts in French in the same school, and indeed it is common practice in the school to employ even open-ended teaching staff on 10-month contracts. As laid out in our February claim, UCU Edinburgh disagrees with this practice. ‘I was considering applying for the job at Edinburgh, but have decided against it because of this insulting and poor employment practice, unless there is pressure on the department to change it’. We now have a meeting with management planned for 6th June, in which we will seek to schedule time-limited negotiations in relation to the February claim. If we do not, the branch will be forced to step up our campaigning and action, as mandated by our members at the recent AGM . The large numbers of casualised UCU members at Edinburgh University simply cannot wait any longer for fair working conditions. This branch notes in December 2017 a branch meeting agreed to submit a claim on tacking casualised staff at the University of Edinburgh. The branch congratulates the UCU post-graduate and researchers’ network and the branch officers for pursuing this policy and submitting a claim in week one of the new Principal’s arrival. This branch demands that the University management to commit to a timetable of negotiations that would deliver a new collective agreement by no later than December 2018. 6) the branch committee should organise further general meetings to fit with the negotiating timetable to enable report back from the negotiations and, if necessary, to call for an industrial action ballot.